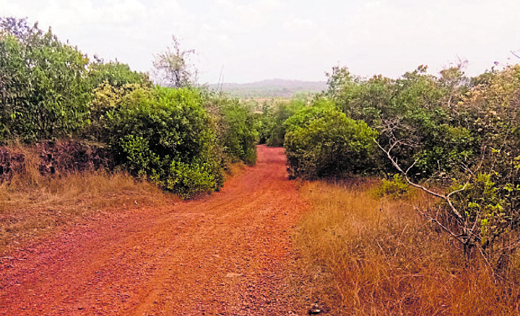 Mangaluru, Mar 21, 2018: Paduperar Gram Panchayat PDO (Panchayat Development Officer) Boramallanna announced at the Grama Sabha held February 20, 2018, that a one-km stretch between Arikepadav and Goshale in Kompadav, coming under the Gram Panchayat, has been concretised at a cost of Rs 2,05,609, the villagers were in for a shock as many of them had come for the meeting through the same stretch, and knew it is still a mud road. Incidentally, a sum of Rs 2,05,609 had already been paid for the “work done”, according to the minutes of the Grama Sabha and the copy of the same is available with certain media houses. “The estimated cost of the concretisation work was Rs 2,05,800 and the actual cost was Rs 2,05,609,” states the report. Though a few villagers decided to remain mum fearing repercussions, D’Silva decided to file a complaint at the Anti Corruption Bureau (ACB) regarding the blatant misuse of funds and also filed a written complaint to the ACB superintendent. In turn, the ACB officials visited the spot and collected the information. Meanwhile, one of the GP members, Devappa Shetty, who learnt about D’Silva’s complaint, threatened Gilbert with dire consequences. As a result, D’Silva is scared to move freely in his own village, especially to supply milk to the dairy from his house. He has also filed a complaint regarding the same to the Bajpe police. Incidentally, Gilbert had unearthed a few misappropriations of the Gram Panchayat with regard to the misuse of the job guarantee scheme among others, and he was assaulted for the same reason some time ago.